This morning at Redeemer I was working with our Kids Church. 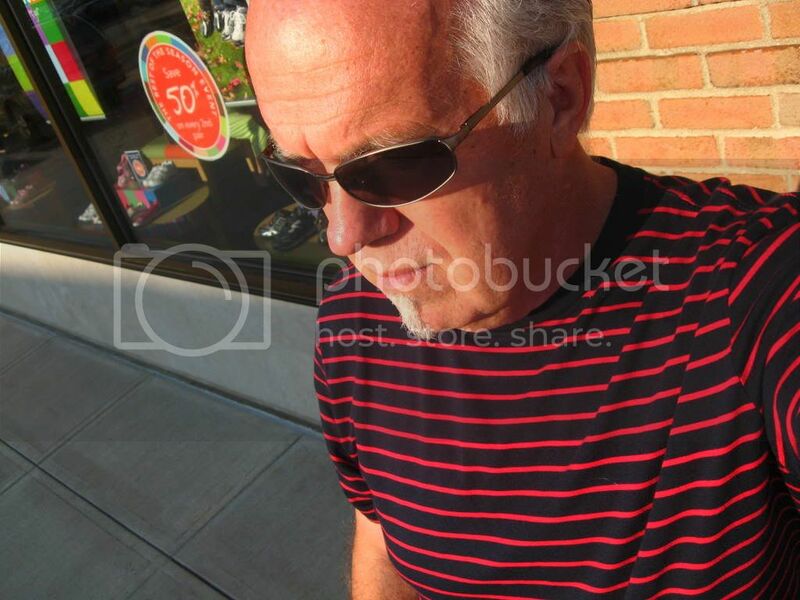 Tim Curry was in the sanctuary and preached on understanding anger and being healed of unrighteous, irrational anger. I have heard many things today about the excellent job Tim did (thank you!). Linda was one who told me what a great message Tim gave. She has already recommended to some people that they listen to his message online, which should be available in a week. One good result is that our people today are thinking about their own anger, understanding it better, and have hope for healing from sin that emerges from anger. I'm in some good dialogue tonight about this subject, so I'm re-posting a few things I've written about this. In every good marriage, in every good friendship, in every church, and wherever there are people, feelings of anger happen. I once had a friend tell me, “I never get angry.” My thought was this: here is a person out of touch with what’s going on inside of him. Even God feels anger. Even Jesus felt anger. 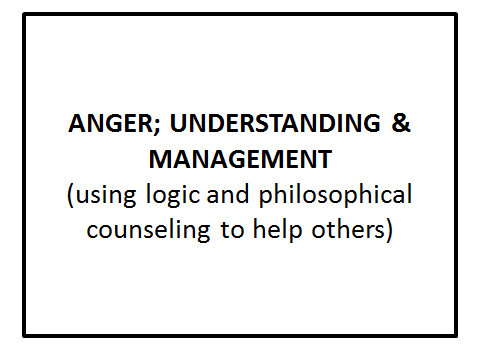 When I feel angry, what can I do? 2. 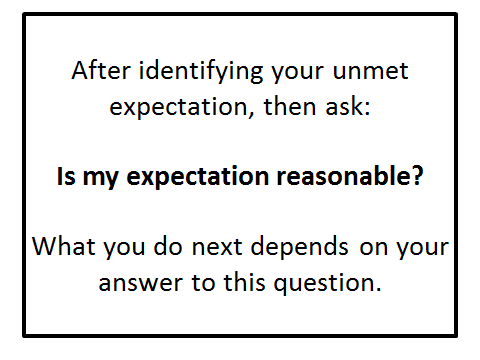 Identify your unmet expectation. 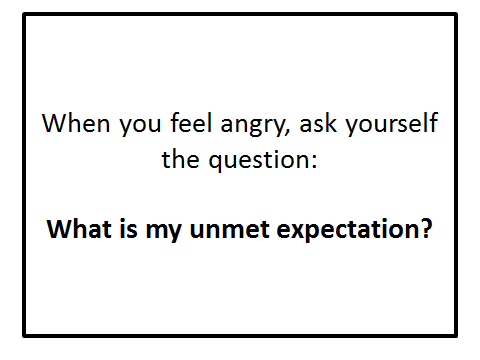 Fill in the blank: "I am angry because my expectation that ________ was not met." 3. 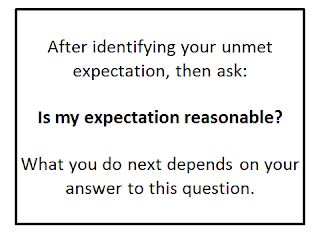 Evaluate your unmet expectation. Is it either: a) godly, reasonable, good, fair; or 2) ungodly, unreasonable, bad, unfair. In my "driving" example above, my expectation was irrational. 4. 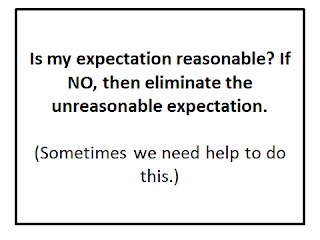 Reject ungodly or irrational expectations. 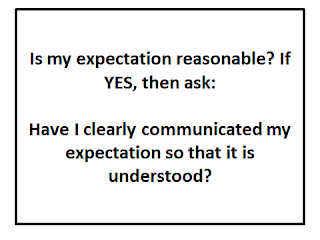 If, for example, you expect people to clearly understand every word that comes out of your mouth, you are now free to reject this as an irrational expectation. 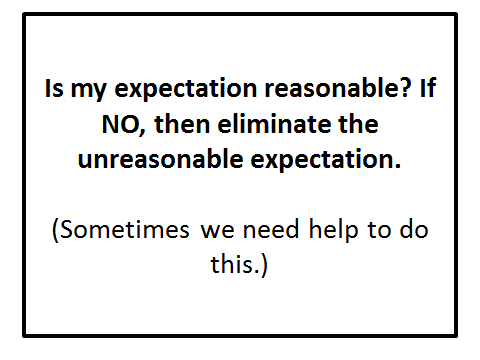 Or, if you have the expectation that other people should never make mistakes when it comes to you, I now free you from that ungodly, irrational expectation. 5. 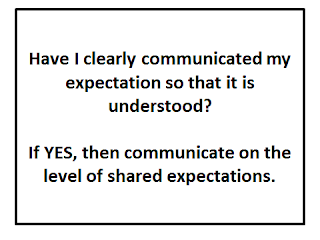 If the unmet expectation is godly/fair, then ask: Have I communicated this to the person I am angry with? 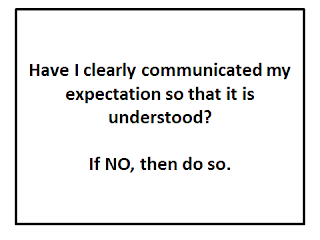 If not, then communicate it. For example, my expectation that persons should take off their shoes before entering our living room may be both rational and of God. 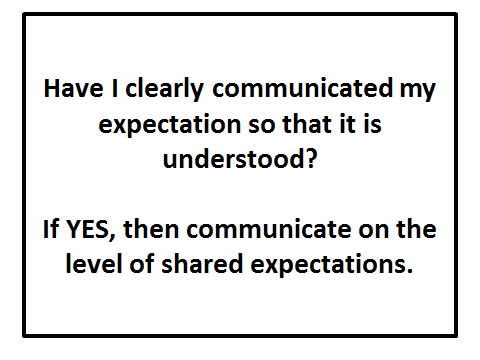 But if I have not communicated this to others, my anger at the unfulfilled expectation is still real. 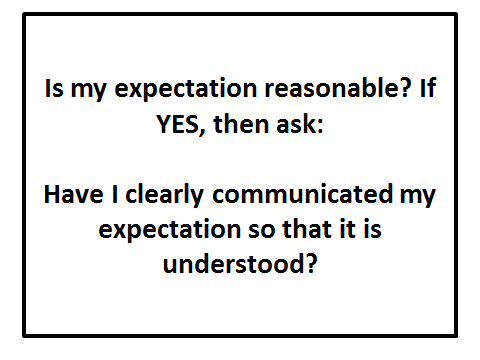 My expectation that people should know such a thing without being told is unfair. 6. 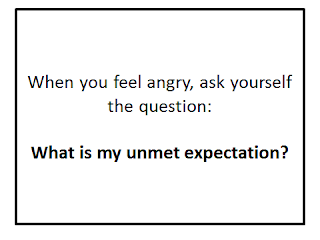 If you have communicated it clearly to the person you are angry with, then communicate your anger this way: Say “I feel angry because my unmet expectation is __________________. 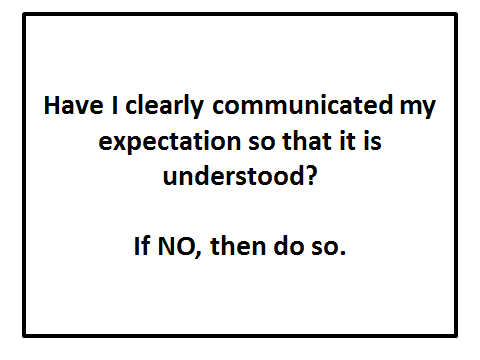 Communicate this in your own way of saying things. Begin your sentence with “I” rather than “You.” For example: “I feel angry…” rather than “You make me feel angry…” Doing it this way asserts without aggressing. For the person who hears this, it does not feel so attacking. Get rid of irrational or ungodly expectations. As you get free of these things you’ll find yourself less angry. 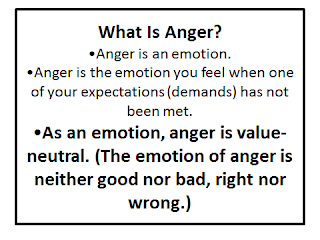 Remember that from the Christian POV, “anger” is not sin. 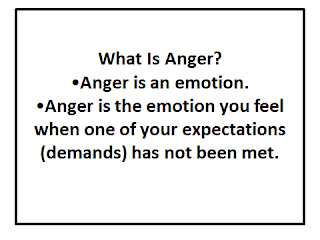 Ephesians 4:26 says, “In your anger do not sin.” We are not told never to feel anger. There is a righteous anger, and that is not only appropriate but necessary. 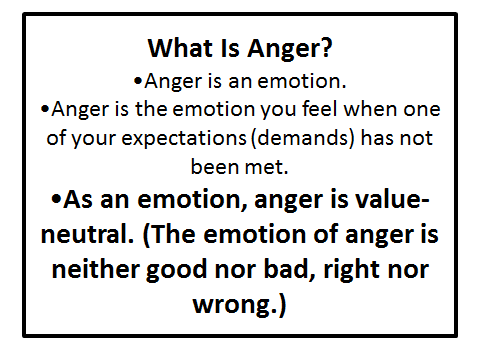 But when we feel the emotion of anger we are never to sin. In all relationships we are never to be harsh, demeaning, vindictive, or abusive. 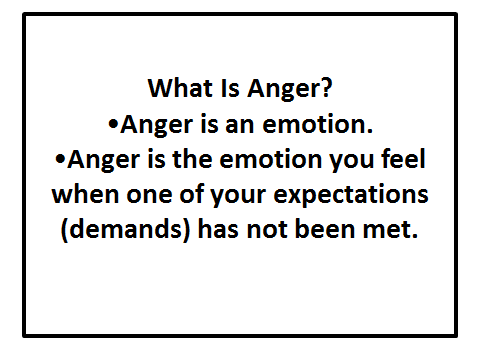 Remember that in every close relationship there is anger. The anger-free relationship is a myth, and probably is a sign of unhealth when claimed. Finally, Ephesians 4:26 says, “Don’t let the sun go down on your anger.” Which means: deal with anger quickly, and in a loving and truthful way. The goal is always restoration of relationship and reconciliation. 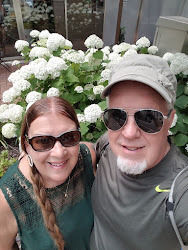 I am thankful that only a few times in our 44 years of marriage have Linda I fallen asleep angry with each other. The reason for this is not that we’re some special, exceptionally compatible couple. We are this way because we were taught to do this by godly people who spoke into our lives. We were sufficiently warned about the cancerous bitterness that arises when anger is “swept under the carpet.” We don’t want satan to gain even a toehold in our hearts. We have asked God to help us with this, and He has! If you have allowed the enemy entrance into your heart because, in your anger, you have sinned, then confess this to God. Then, receive God’s forgiveness and give Him thanks. 1 John 1:9 says: If we confess our sins, he is faithful and just and will forgive us our sins and purify us from all unrighteousness. Acknowledge, before God, that you are a new creation in Christ. Ask God to help you, and trust that He is now doing so. Never use things like Facebook or texting to share negative things or work out interpersonal conflict. For such things Face-to-Face is best. "When you write a very angry letter to a friend who has hurt you deeply, don't send it! Let the letter sit on your table for a few days and read it over a number of times. Then ask yourself: "Will this letter bring life to me and my friend? 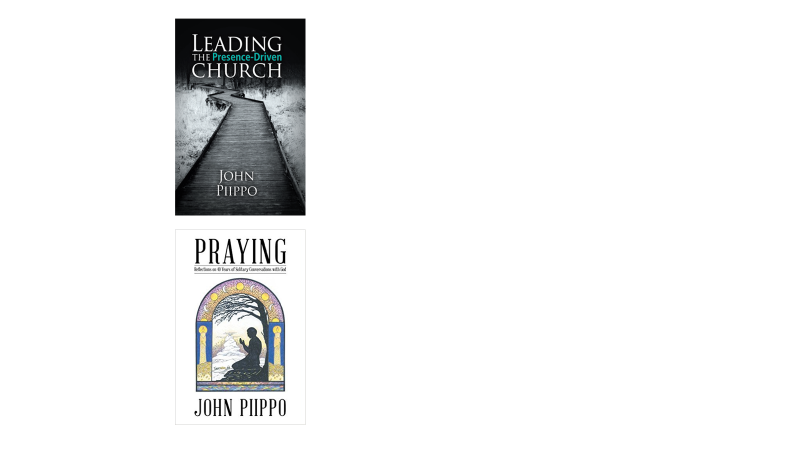 Will it bring healing, will it bring a blessing?" You don't have to ignore the fact that you are deeply hurt. You don't have to hide from your friend that you feel offended. But you can respond in a way that makes healing and forgiveness possible and opens the door for new life. Rewrite the letter if you think it does not bring life, and send it with a prayer for your friend." Think, and pray, before you text or speak. I'm presenting this to my MCCC Logic class tonight. It's an example of using logic to counsel people, in this case with conflict in relationships. 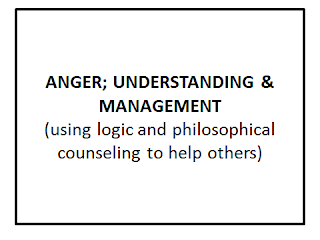 Note: there is a small but growing Philosophical Counseling movement. See here; and here.